We’d love your help. 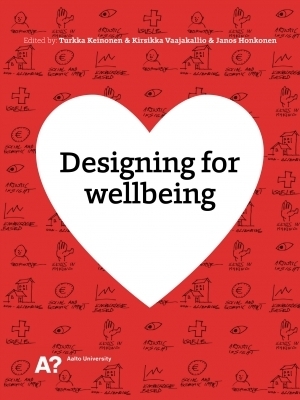 Let us know what’s wrong with this preview of Designing for Wellbeing by Turkka Keinonen. 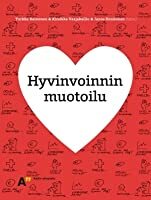 Designing for Wellbeing consists of 12 projects which represent actual services or processes in the cities of Helsinki, Espoo, Kauniainen and Lahti. Projects address different dimensions of wellbeing, focusing in particular on municipal wellbeing services and patient-centered health care solutions. Designing for Wellbeing highlights new working methods in design, such as se Designing for Wellbeing consists of 12 projects which represent actual services or processes in the cities of Helsinki, Espoo, Kauniainen and Lahti. Projects address different dimensions of wellbeing, focusing in particular on municipal wellbeing services and patient-centered health care solutions. Designing for Wellbeing highlights new working methods in design, such as service design and the opportunities it provides for municipal decision-makers and the general public using the services. The projects are aimed at finding ways of encouraging people to adopt healthier lifestyles and helping designers and municipal decision-makers to design more pleasant and healthier environments. To ask other readers questions about Designing for Wellbeing, please sign up.